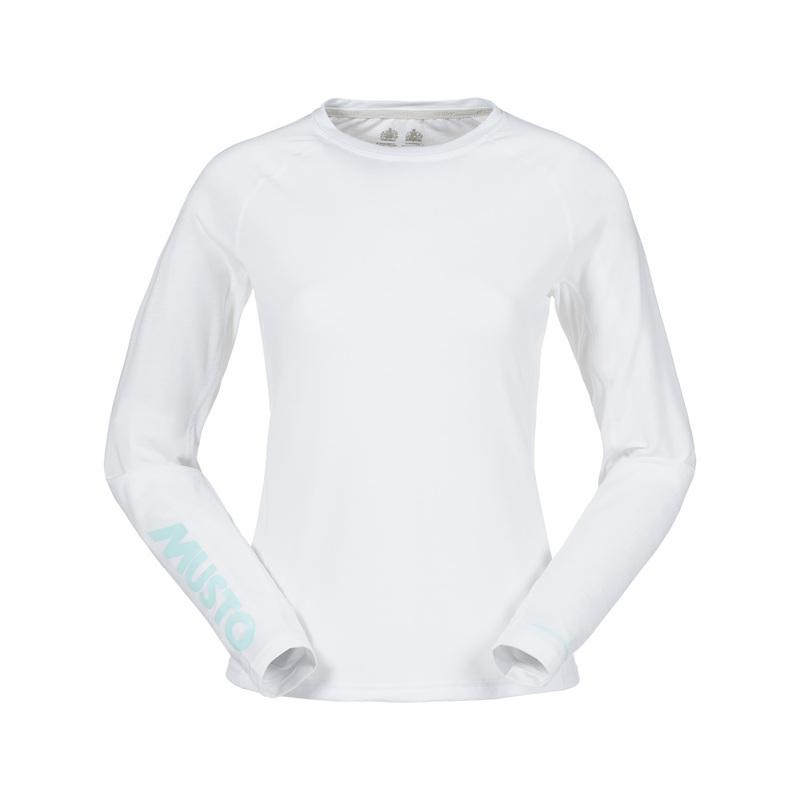 Stay dry even during intense activity in this Essential long sleeved T-shirt. Made from high wicking, fast drying fabric with mesh ventilation beneath the arms, this tee rapidly draws moisture away from your body to keep you performing at your peak. This long-sleeve tee offers SPF40 protection against the sun and features antibacterial properties to help prevent odour. This stylish long sleeve T-shirt boasts flat lock seams comfortable against the skin and bold MUSTO branding down one arm.